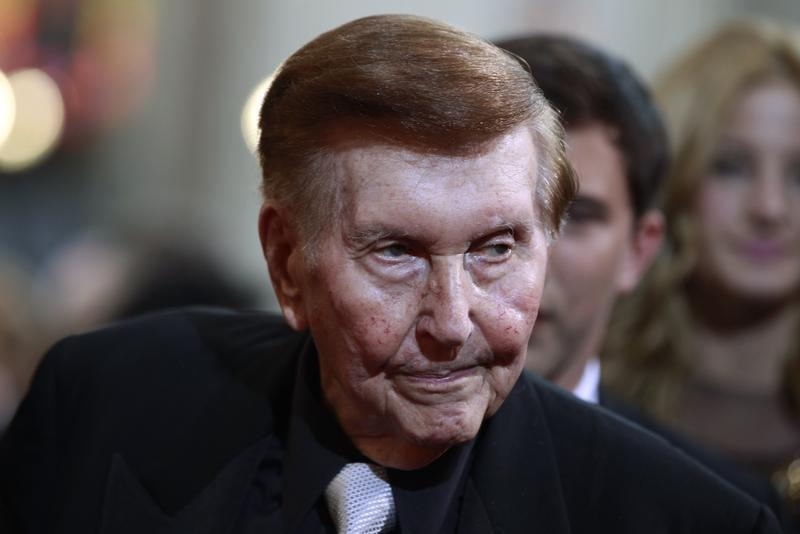 Media mogul Sumner Redstone says he has lost trust in Philippe Dauman, putting the CEO’s future at the MTV owner in doubt. If cut loose, he’d leave with an $80 mln exit package that rivals those of Michael Ovitz and Carly Fiorina. Corporate payouts for failure stubbornly linger. National Amusements, the controlling shareholder of Viacom, on June 16 removed and replaced five directors of the company’s board, including Chief Executive Philippe Dauman. Also ousted were Blythe McGarvie, George Abrams, Frederic Salerno and William Schwartz. The newly elected board directors are: Buzzfeed Chairman Kenneth Lerer; former Sony Entertainment President Nicole Seligman; Eversource Energy Chairman Thomas May; Cane Investments CEO Judith McHale; and Avis Budget Chairman Ronald Nelson. “None of the new directors is affiliated with National Amusements, Viacom or any Redstone family trust,” National Amusements said in a statement. Viacom said the current board will remain in place, pending legal action. “This is a brazen and demonstrably invalid attempt by Ms. Redstone to gain control of Viacom and its management in disregard of Sumner Redstone’s wishes and to undermine the current Board’s ability to represent the best interests of all of the stockholders of Viacom,” Salerno said in a statement. Media mogul Sumner Redstone sent a letter on June 15 to Salerno saying he no longer trusts Dauman or those who support him. The letter was in response to June 14 correspondence from Salerno asking permission to see Redstone.